My sister is considering having someone bring farm animals to the house for Nora's birthday party. ...teach her how to oink and try to pass her off as one of them. She'd love all the free pets she'd get. 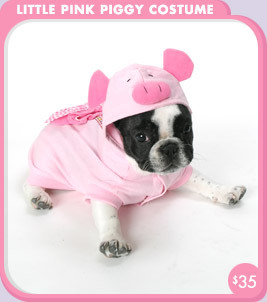 Piggy dog costume available at Trixie + Peanut's costume shop.